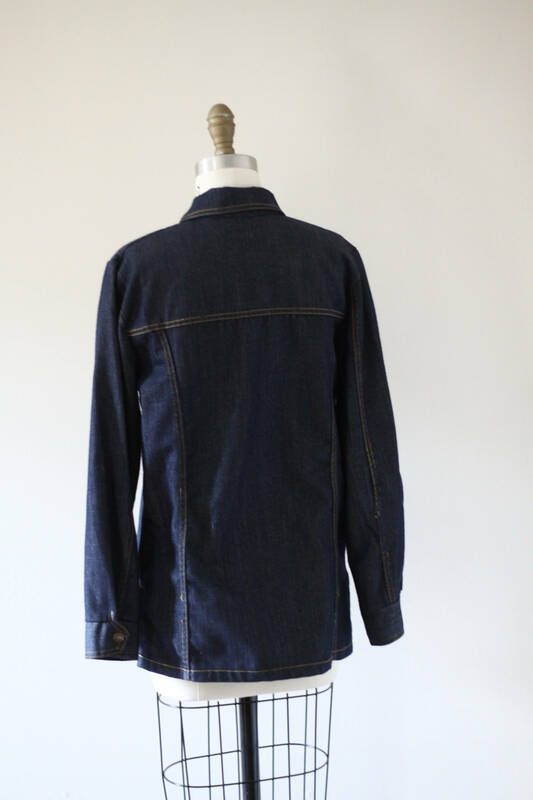 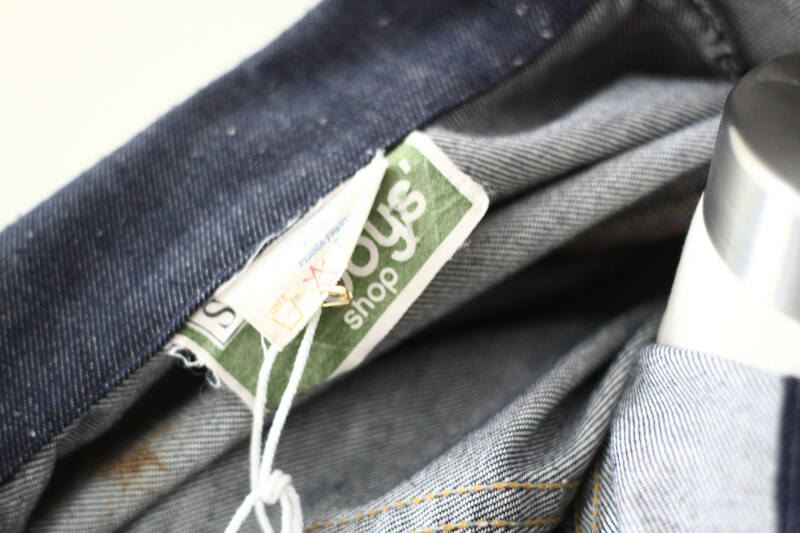 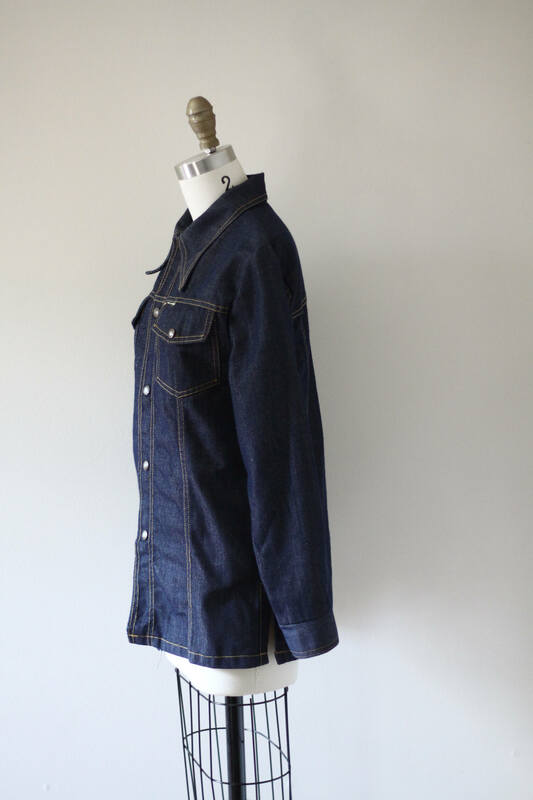 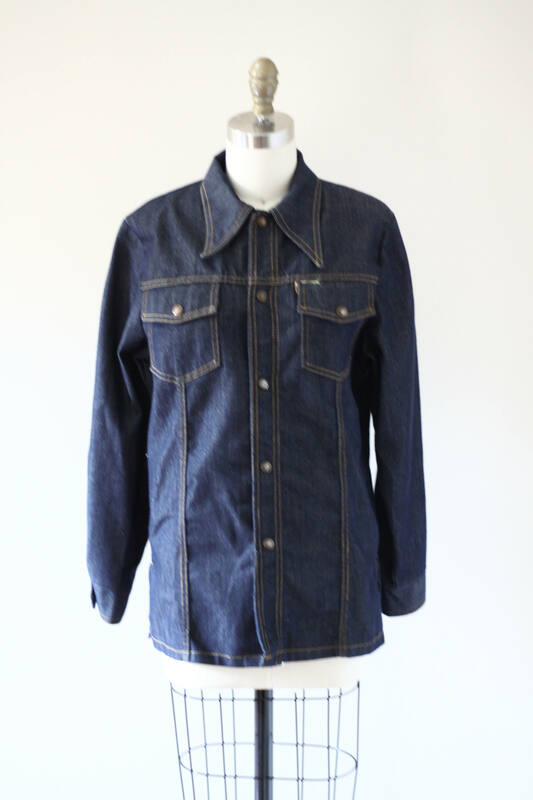 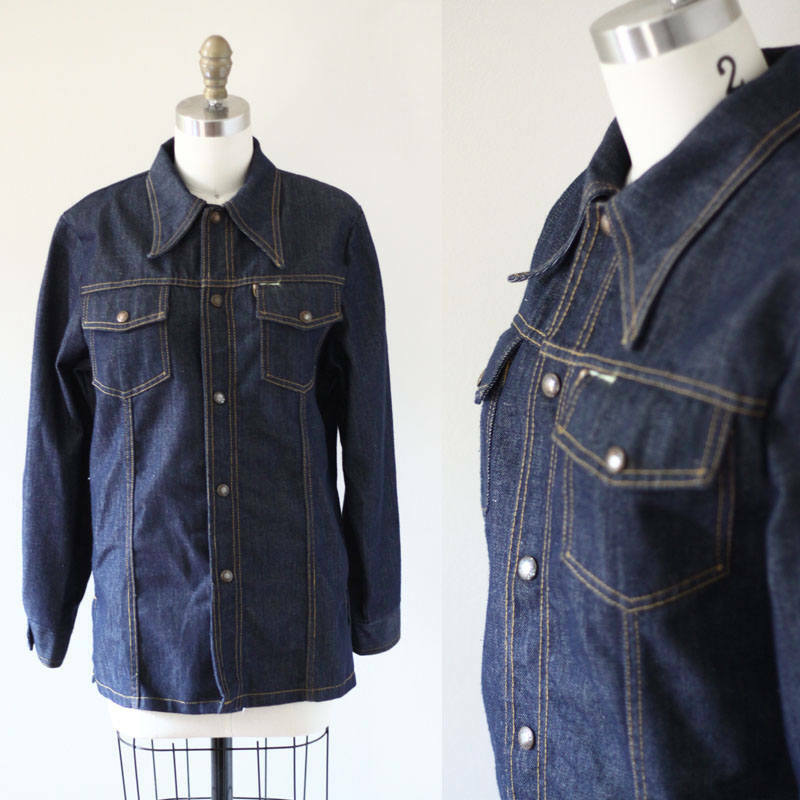 1970s Sears brand dark denim with heavy weight to it. 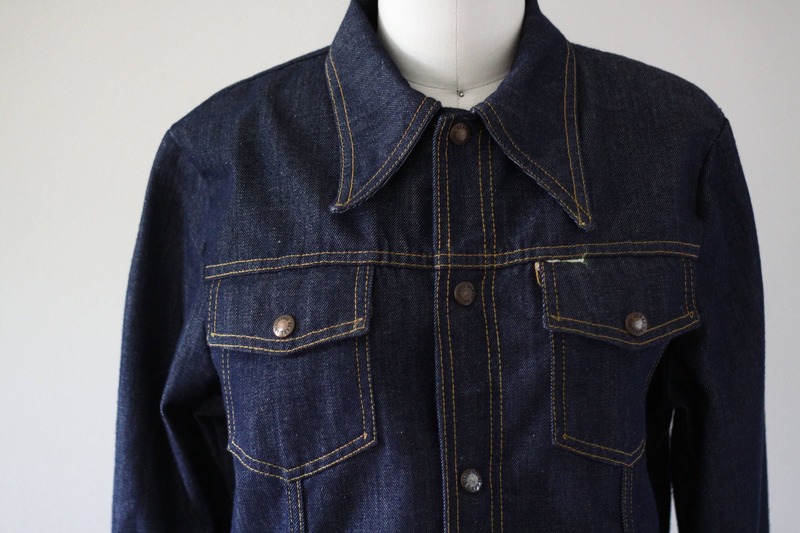 A 1970s style collar and dark golden stitching throughout. 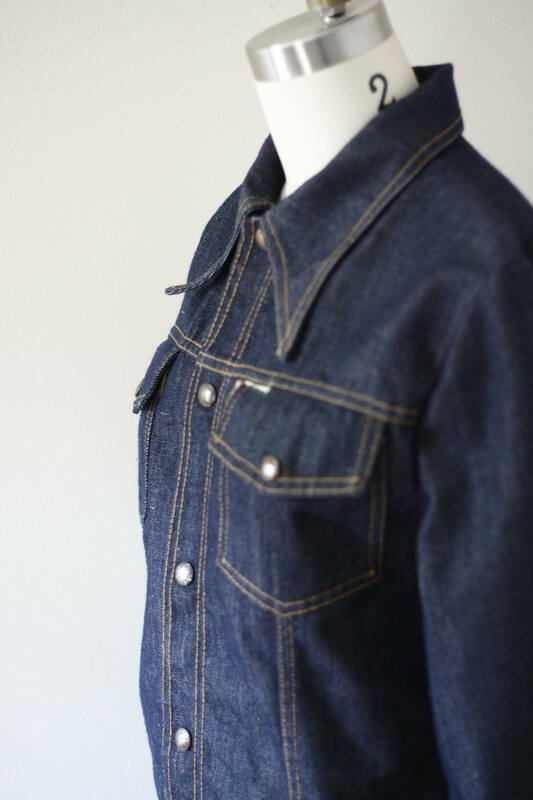 Metal snap buttons for closure running up the front of the top and at the pockets and sleeve cuffs.